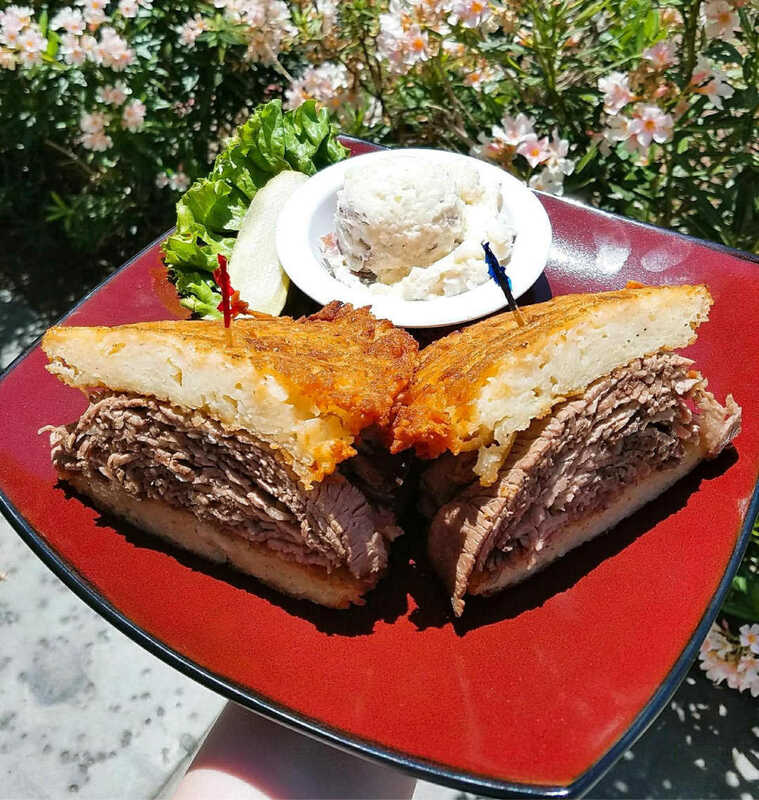 You haven’t lived until you try a generous serving of Corned Beef or Pastrami made into a sandwich with two (2) of our famous homemade Potato Latkes in place of bread. We also add a cup of our creamy Cole Slaw on the side. Hot Corned Beef, Pastrami or Breast of Turkey topped with Cole Slaw and 1000 Island Dressing on our Deli Rye. Served with Potato Salad. Grilled & Split, Melted Swiss Cheese, Sauerkraut on Grilled Rye with Cottage Fries. 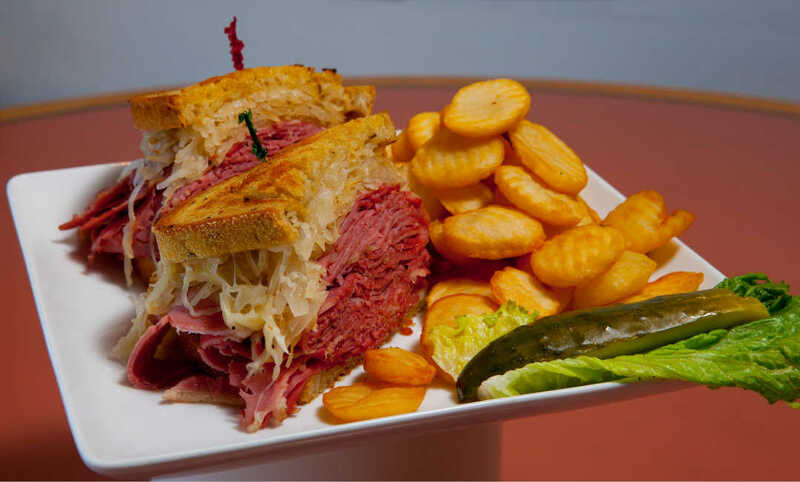 Mouthwatering Corned Beef, Turkey or Pastrami, piled high with Swiss Cheese and zesty Sauerkraut. Grilled on Rye. Served with our Cottage Fries. We serve them grilled or boiled with a healthy serving of our Baked Beans & Cole Slaw, Bread and Butter. Quarter Pound Corned Beef and Pastrami with lots of Sauerkaut, Swiss cheese on three slices of our Deli Rye. Your can have your choice. Accompanied by Mashed Potatoes, Gravy and Vegetable of the Day. Cranberry Sauce served with Turkey. Browned to a turn. Served with sour cream and jam.3 to an order. Fettuccini noodles served in a rich creamy Alfredo Sauce. Complimented with Mushrooms and Spinach. Served with Cheesy Bagel. Fettuccini noodles with fresh tomatoes and basil. Tossed in Olive oil and garlic. Served with Cheesy Bagel.